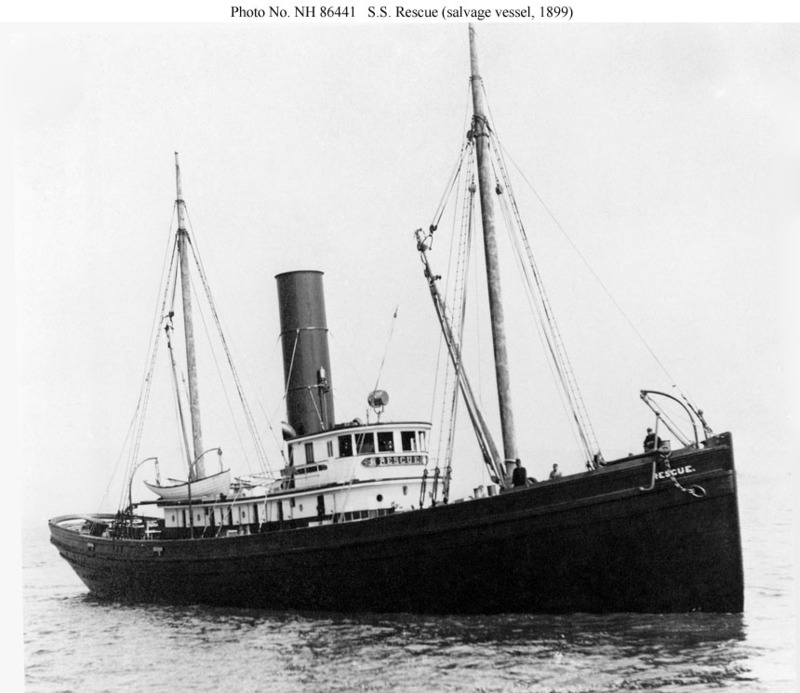 During World War I the U.S. Navy temporarily acquired ten salvage vessels. 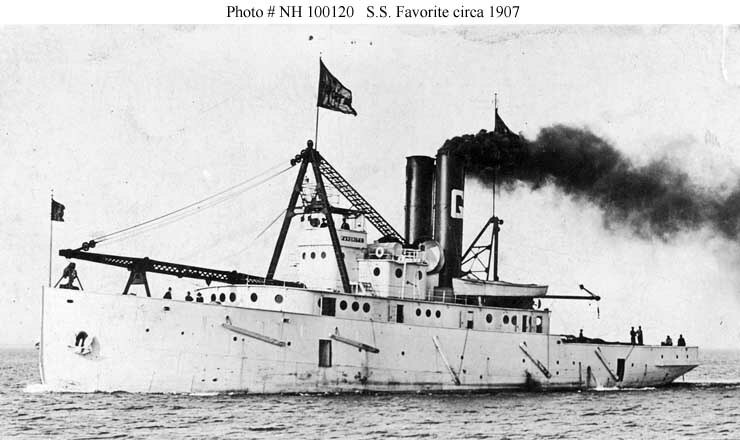 This page features a table (with links to individual ships) of World War I era U.S. Navy salvage vessels, plus a photograph of each ship in this group. 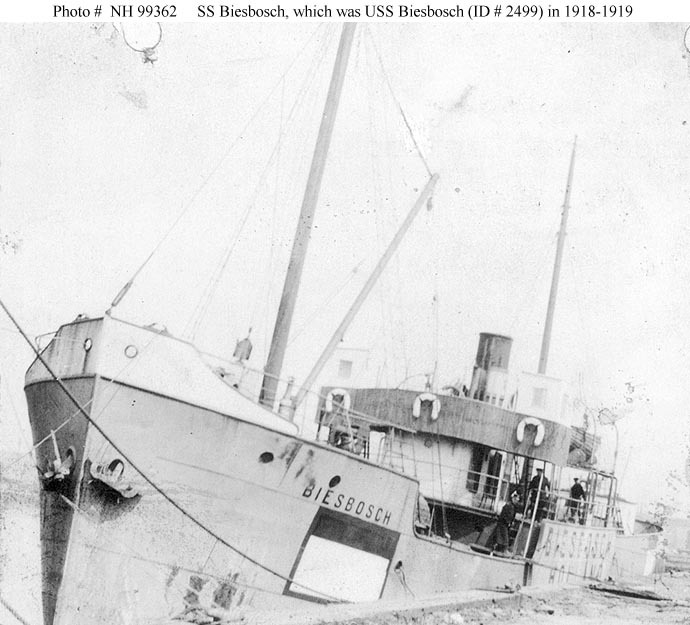 Biesbosch, USN 1918-1919 (ex Dutch S.S. Biesbosch, 1917). 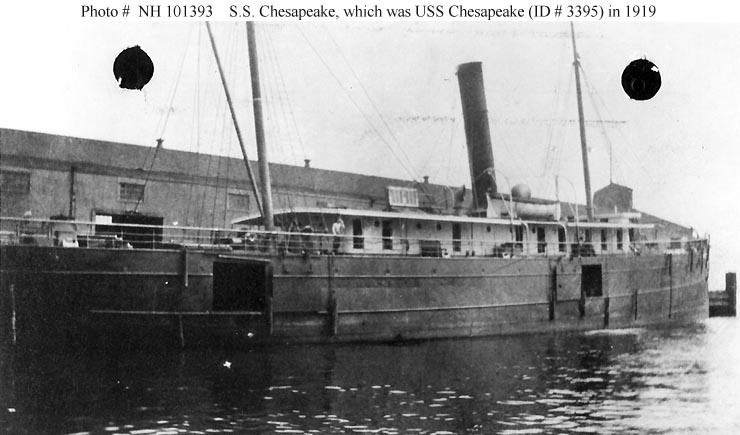 Chesapeake, USN 1919-1919 (ex American S.S. Chesapeake, 1900). Sister to Manna Hata. 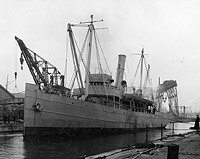 Favorite, USN 1918/1948 (ex American S.S. Favorite, 1907). 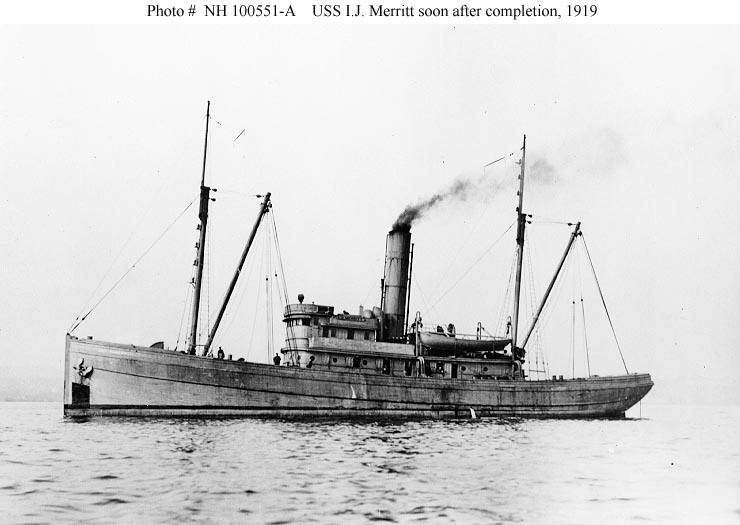 I. J. Merritt, USN 1919-1919 (ex American S.S. I. J. Merritt, 1919). 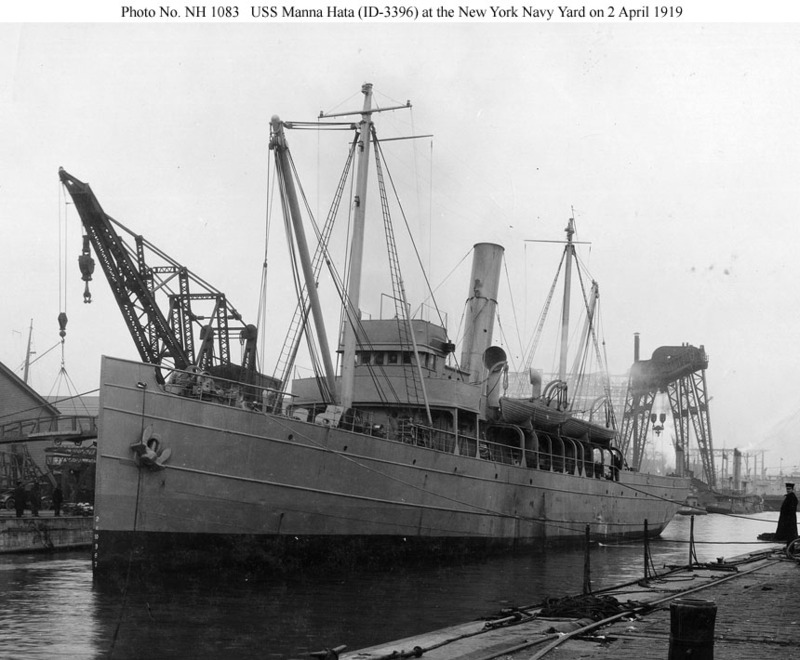 Manna Hata, USN 1919-1919 (ex American S.S. Manna Hata, 1900). Sister to Chesapeake. 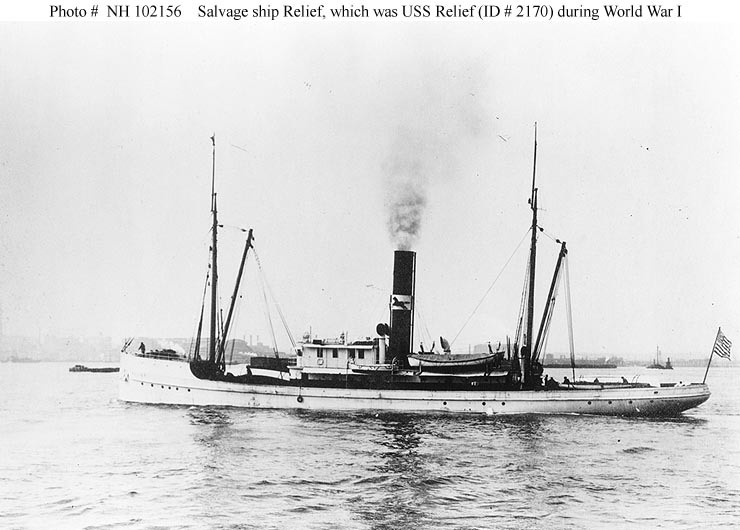 Relief, USN 1918-1919 (ex American S.S. Relief, 1907). 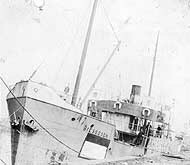 Rescue, USN 1918-1919 (ex American S.S. Rescue, 1899). 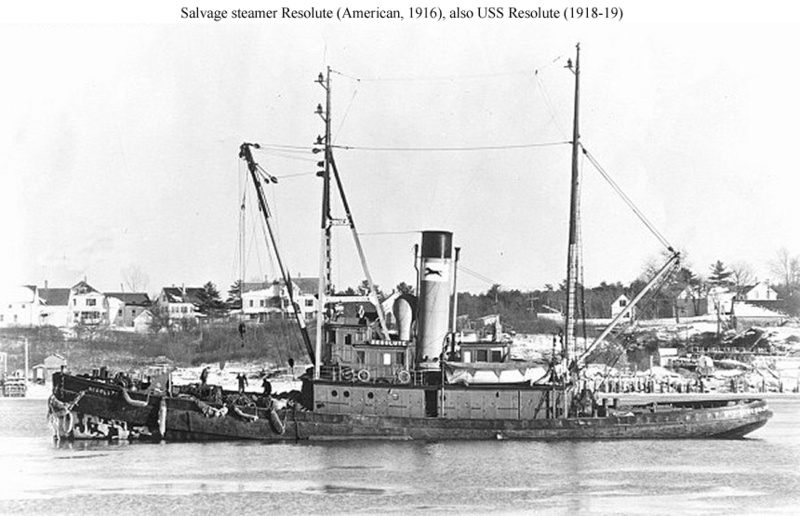 Resolute, USN 1918-1919 (ex American S.S. Resolute, 1916). 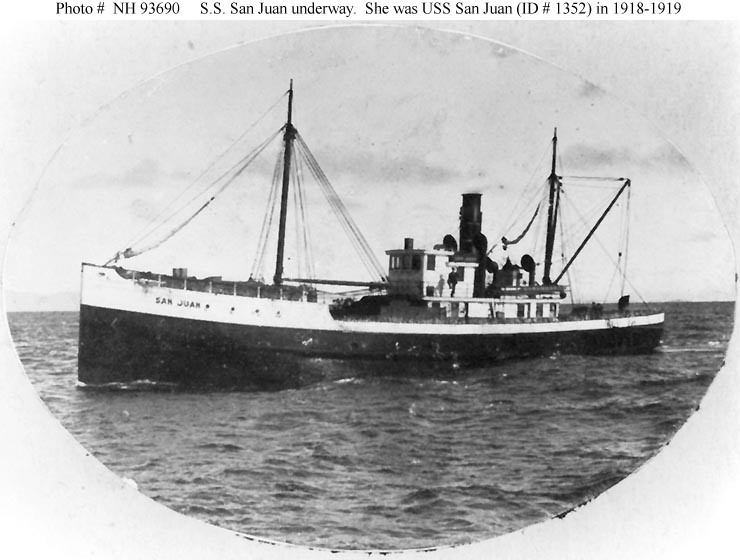 San Juan, USN 1918-1919 (ex American S.S. San Juan, 1904). 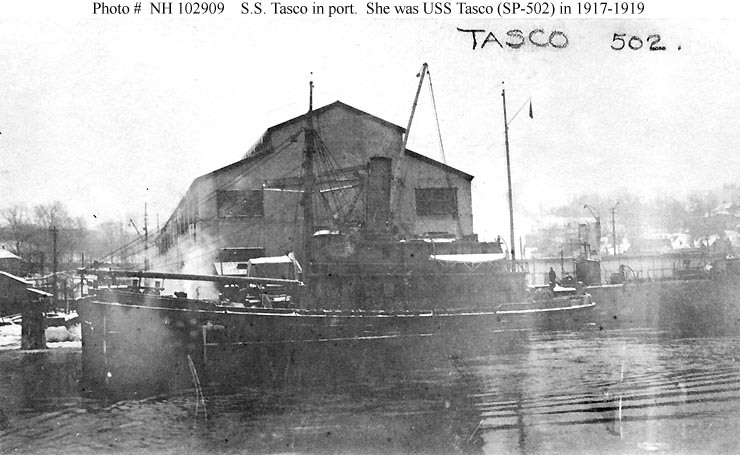 Tasco, USN 1917-1919 (ex American S.S. Tasco, 1907).